As per being a high school student i have progressed a lot due to the detailed and fine explanations by this book. Its one of the best i have used and is definitely my savior for this school year. 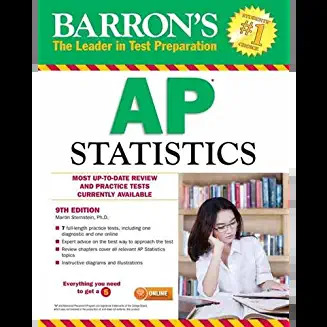 I HIGHLY recommend this book for any student trying to learn AP Stats. starsAP Stats Rocks! And so does this book! Purchased for daughter's AP Stats class. She's getting an A so far! Loved the price! Shipping wasn't fast but that was just fine as we weren't in a hurry. EVERYTHING YOU NEED TO HELP SCORE A PERFECT 5. 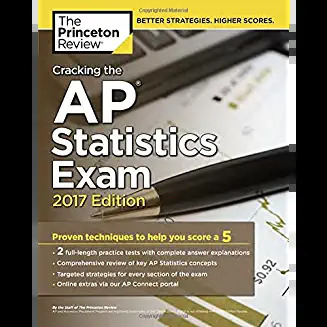 Equip yourself to ace the AP Statistics Exam with The Princeton Review's comprehensive study guide—including thorough content reviews, targeted strategies for every question type, access to our AP Connect portal online, and 2 full-length practice tests with complete answer explanations. This was purchased for my daughter. She liked the books and found them to be very useful.